AT&T has combined its Mobility unit with its Business Solutions Group. The move will enable AT&T to focus on expanding and refining its enterprise mobility business, which accounts for more than 50% of AT&T’s wireless revenue. 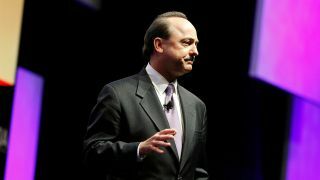 Former AT&T Mobility CEO Ralph de la Vega has been promoted to CEO of the Mobile and Business Solutions unit. He had served as CEO of Mobility since October 2007. Prior to joining AT&T, he served as the Chief Operating Officer of Cingular Wireless. De la Vega has recently championed partnerships with auto manufacturers, such as GM, to expand awareness and enthusiasm for connected cars. He has also been an active proponent of aggressive promotions to lure subscribers away from Verizon and T-Mobile. AT&T, the number two carrier in the US behind Verizon, recently ran a promotion offering a $200 discount on an iPad if consumers are willing to sign a two-year iPad data plan and buy a new fully-priced iPhone. In December of last year, AT&T launched the Mobile Share Value plan, which offered a savings of $15 per month for each smartphone line. The same month, AT&T also tried to convert T-Mobile customers with a pair of incentives worth up to $450. Glenn Lurie has been promoted to Chief Executive Officer of AT&T Mobility. Lurie will continue to report to de la Vega. He previously served as President of Emerging Devices at AT&T Mobility and Consumer Markets since 2008. He is also one of the executives responsible for bringing the iPhone exclusively to AT&T during its initial run. Lurie has been focused on wearable devices and recently said the industry would soon see standalone wearables that don’t need a bluetooth connection via a smartphone. For Lurie, building out AT&T’s mobility market share, while maintaining an eye toward the future will be crucial to his success. What are the 10 best AT&T phones?